Phyllis Pemberton (nee Sewell)’s bridesmaids. See note below. Photo courtesy of Barbara Glossop (nee Sewell). 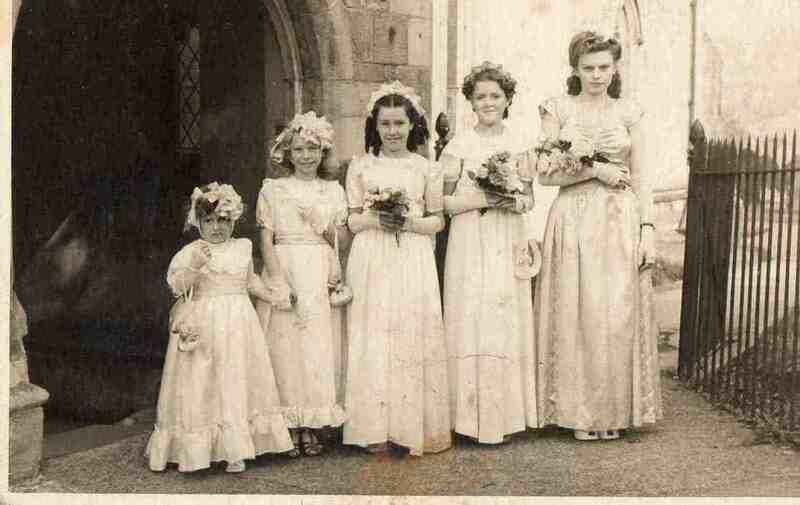 Phyllis Pemberton (nee Sewell’s) wedding at St Giles Church -1952. Carol Watts, Jacqueline Royston, Janice Royston, Barbara Sewell, Iris Jewkes.